Pydio 8 Community Edition is a freely available enterprise file sharing & sync server distributed under the open-source AGPL license. It supports modern versions of PHP and runs as a web application on any Linux server. The user interface is inspired by Google’s Material Design language, giving the Pydio web portal a look-and-feel that will be familiar & aesthetically pleasing to anybody with an Android or Google Account. 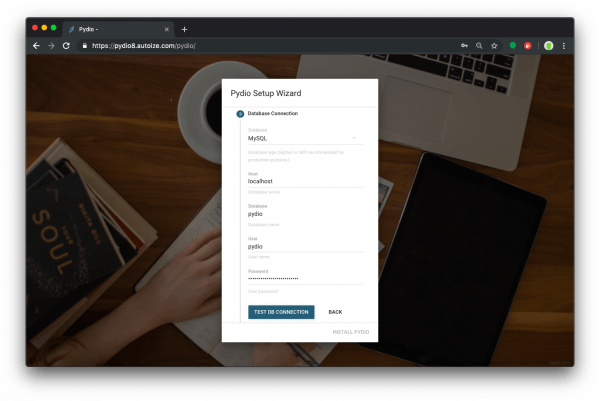 Make no mistake however, Pydio is a cross-platform app with PydioSync clients for Windows, Mac OS, and Linux desktops, in addition to mobile apps for both iOS and Android. The official documentation to install Pydio 8 is available on Pydio’s website, but it references a package repository that installs PHP 5.6 which has reached end-of-life. PHP 7.1 is now the recommended version for Pydio 8. It also doesn’t outline how to add a custom Apache configuration, which we will show you in this tutorial to get a free SSL certificate from Let’s Encrypt and enable HTTPS to secure your Pydio 8 server. We’ll also show you how to enable large file uploads on Pydio 8 so you can upload files larger than 200MB not only in the desktop client, but also using the web portal. This tutorial is for a CentOS 7 environment. The minimum requirements for a Pydio server are 4GB RAM and 2 CPUs, with 8GB being the recommended spec for a production deployment. Pydio recommends the m4.large AWS instance with 8GB RAM and 2 Virtual Cores, which costs $0.10/hour (approximately $75/month). DigitalOcean is also a great cloud hosting provider for your Pydio instance. They have a $20/mo plan with 4GB RAM and 2 CPUs, and a $40/mo plan with 8GB RAM and 4 CPUs, making them significantly less expensive than AWS. New customers: Use our referral link to receive $100 in free Pydio hosting for 60 days (We get $25 as a thank you from DigitalOcean). This tutorial is intended to illustrate how to get a minimal Pydio instance up and running. If you require a fully optimized Pydio instance for production use in your organization, contact our Pydio consultants for help with planning a scalable & secure implementation that can grow in capacity with your needs. This Pydio 8 tutorial assumes you will be installing Pydio at a subdomain of a second-level-domain (pydio.example.com/pydio) that is already registered with an accredited registrar. It also assumes you are starting with a fresh CentOS 7 instance that will be used exclusively for the purpose of hosting Pydio 8. Pydio can co-exist with other web applications on a single VPS instance, but it requires special Apache VirtualHost configuration to share ports 80/443, which is outside the scope of this article. ‘grep’ for the initial mysql root password in the mysqld log. Navigate to https://pydio.example.com/pydio to launch the browser-based setup wizard.